The temperature of a material (be it gas, liquid or a solid) is seldom constant throughout the process. A single multi-point temperature sensor provides an economical and efficient way to handle several points of measure in a process. 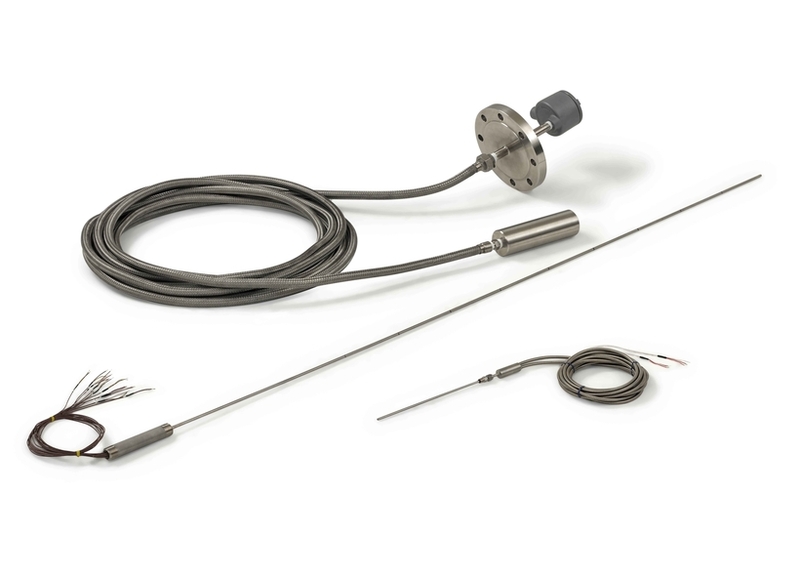 In its simplest form a multi-point temperature sensor consists of a number of RTDs (Pt100s) or thermocouples encased at various points inside a sleeve, sheath, jacket or tube with a single access point at a junction enclosure. Multi-point sensors can be various lengths, sizes in diameter, made of a variety of materials, and constructed to measure a wide range of temperatures. These sensors are often used to measure multiple temperature points in storage tanks, piping systems, ovens/kilns/furnaces, air flow ducts, grain bins, heat exchangers, rail car and truck tanks, chemical vessels and others. Depending on the application, multi-point temperature sensors provide detailed temperature profiles for optimized process control. 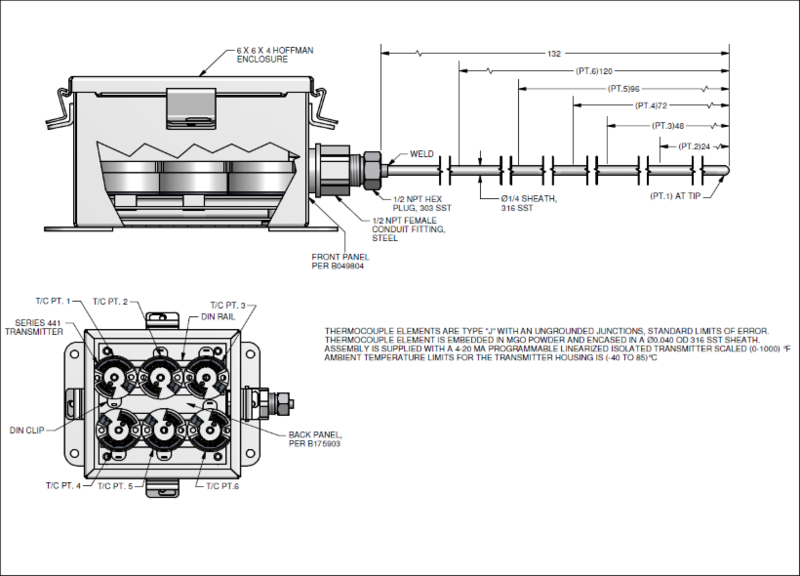 They are often used to map temperatures over a large area, identify temperature gradients, or to detect hot spots within the process. For specific product options and information, select the desired type below.